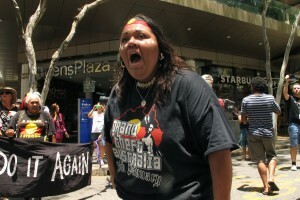 The truth was out about removals and instead “government stigmatised us,” Hartnett told IPS, referring to a case in 2007 Australia’s Northern Territory when, citing unfounded allegations of child abuse, federal government seized control of a number of indigenous communities. The death of two Bolivian boys in a fire and the mistreatment and sexual abuse of a young Bolivian woman put the problem of slave-like labour conditions in clandestine sweatshops back in the headlines in Argentina. The state, the textile and fashion industries, and consumers mutually blame each other for the problem. The two brothers aged seven and 10 died on Apr. 27 in a fire in one of the numerous clandestine garment workshops in Flores, a Buenos Aires neighbourhood, where their parents, immigrants from Bolivia, were living and working. A few days earlier, Rosa Payro, a 21-year-old from Bolivia, was rescued from another sweatshop on the outskirts of Buenos Aries after nearly three years of being raped, beaten, tortured and held captive by distant relatives she was working for. These two cases reflect a complex situation, Juan Vásquez, a former sweatshop worker who now forms part of Simbiosis Cultural, a collective of Bolivian immigrants seeking to draw attention to the appalling conditions in the clandestine workshops, told IPS. According to the Alameda Foundation, there are some 3,000 sweatshops in and around Buenos Aires alone, with an average of 10 employees each. The majority of the roughly 30,000 workers are from Bolivia, South America’s poorest country. But there are also Peruvians, as well as workers from other Argentine provinces. In Argentina, a country of 41 million people, including 1.8 million foreign nationals, the law on immigration guarantees the right to work, education and healthcare for South American immigrants. But many of these modern-day slaves are undocumented. And according to estimates by non-governmental organisations, 90 percent of them work in agriculture or the textile industry. “They often traffic them without documents or identification,” said Schaerer, referring to the sweatshop owners, who are sometimes relatives or acquaintances of the trafficking victims. “Many don’t want to try to legalise their status because they think they’ll be deported,” Alfredo Ayala, the president of the Asociación Civil Federativa Boliviana, told IPS. Schaerer said that the sweatshops are the last link in the garment industry chain, and that nearly 80 percent of the industry depends on them. “It’s all part of a big scheme: people are trafficked, reduced to slavery conditions, and forced to work making clothes” for big and small brand names, street fairs, famous designers, fashion boutiques, counterfeit clothing markets, and even government departments, he said. He cited a 2006 internal audit by the Defence Ministry, which found that the army procured supplies from clandestine workshops. “Many different parties share responsibility for this criminal activity,” where national and municipal laws are violated, Schaerer said. “A large number of immigrants come into the country illegally in buses. They enter from Bolivia (over the northern border), and ride across nearly half of Argentina without running into any kind of controls,” he added. He also said the racket is closely linked to drug trafficking, which uses the sweatshops to launder money. 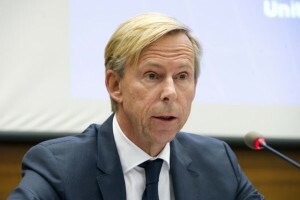 Schaerer said the national government was responsible for failing to codify the Law on the Prevention and Punishment of Trafficking in Persons, and the Buenos Aires city government for failing to monitor and carry out inspections, and for protecting the clothing brands that have been denounced. One example was the workshop where the two boys died. Despite the police guard after the first fire, it was set ablaze on May 7, in an apparently intentional fire aimed at eliminating documents and evidence. 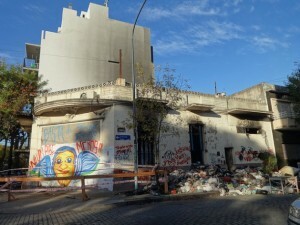 Buenos Aires Mayor Mauricio Macri blamed the sweatshop problem on the lack of jobs, “combined with illegal immigration,” and said the factories often do not let the city inspectors in. In 10 years, the Alameda Foundation received some 5,000 complaints of slave and child labour, mistreatment and sexual abuse, as in the case of Payro. But although 110 national and international brands – some of them famous – have been named in legal proceedings for allegedly buying from sweatshops, only one was found guilty. “It’s a complex system…that is necessarily nourished by immigration” – in other words, a segment of the population without a social safety network or money, said Vásquez. “When you come here you’re very vulnerable because you don’t know the place…they tell you ‘this is where you’ll work, and we’ll bring your meals,’ and you start to just accept the situation as normal. You don’t question anything because they’re giving you a solution after things were really hard back in your own country,” he said. He was nine years old when he came to Argentina with his brother and his mother, who pawned their house to find a job. “The idea was to come here and not go back, because we didn’t have money. My last memory of Bolivia is being hungry. I remember her desperation to find some money,” he said. After a complicated border crossing, they made it to the small factory where his father worked. For three months the family shared a single bunk. These hardships were compounded by discrimination. At school Vásquez was teased and bullied for his accent and dark skin. At the age of 16, he started to work in a sweatshop, and his parents opened their own. “It’s all just seen as normal, and it doesn’t have to do with cultural characteristics,” he said. “When my mom opened up her workshop she didn’t think: now I’m going to exploit people and make money off of them. She had learned how the system worked. She saw working 16 hours, in those conditions, as something normal. “It’s capitalism overlapping with the issue of immigration,” Vásquez said. The Alameda Foundation proposes alternatives like textile cooperatives in workshops that have been confiscated or recovered by the workers. They are also calling for an obligatory label to guarantee to consumers that what they’re buying was not made in a sweatshop, with slave labour. The governmental National Institute of Industrial Technology tried to adopt a voluntary label, but only one big clothing store accepted it. For its part, the government encourages people to report sweatshops and cases of abuse to the special prosecutor’s office to fight human trafficking and exploitation. “We say that instead of closing the workshops, we have to open them up, in order to find the solution together with the main actor: the textile worker,” said Vásquez. The Latin American and Caribbean region is the first in the world to reach the two global targets for reducing hunger. Nevertheless, more than 34 million people still go hungry. “This is the region that best understood the problem of hunger, and it’s the region that has put the greatest emphasis on policies to assist vulnerable groups. 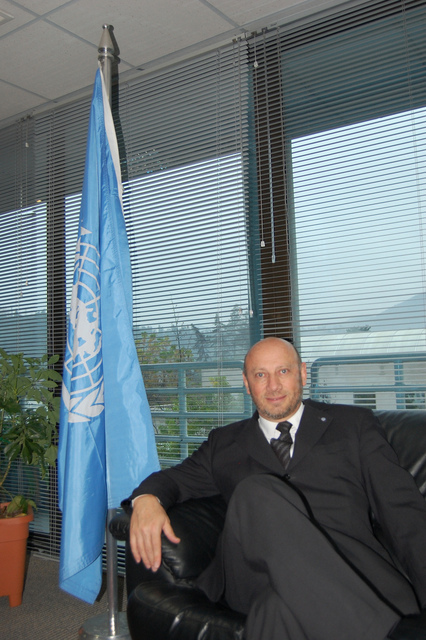 The results achieved have been in accordance with that emphasis,” FAO regional representative Raúl Benítez told IPS. According to The State of Food Insecurity in the World (SOFI) 2015 report, released Wednesday by the United Nations Food and Agriculture Organisation (FAO), hunger affects 5.5 percent of the population of Latin America – or 34.3 million people. That means the region has met the target of halving the proportion of hungry people from 1990 levels, established by the Millennium Development Goals (MDGs) adopted by the international community in 2000, with a 2015 deadline. These statistics also show that the region has lived up to what was agreed at the 1996 World Food Summit. According to SOFI, 28 percent of the population of Latin America, estimated at a total of 605 million people, lives in poverty, compared to 44 percent in 2002. By contrast, the progress in reducing extreme poverty stalled two years ago. With respect to the eradication of hunger, SOFI reports that South America made the greatest progress between the periods of 1990-1992 and 2012-2016. But South America, which accounts for 66 percent of the region’s total population, also has the largest number of undernourished people. 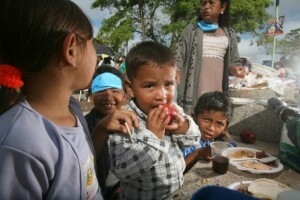 In that period, Central America also managed to reduce the number of hungry people, from 12.6 million to 11.4 million. However, the reduction in hunger has slowed down since 2013. The Caribbean is lagging the most, with 7.5 million hungry people. That is mainly due to the situation in Haiti, the poorest country in the hemisphere, where 75 percent of the Caribbean’s malnourished people live, the report states. Haiti’s problems are deep-rooted, Eve Crowley, FAO deputy regional representative, said Thursday during the launch of the report at the agency’s regional office in Chile. They date back centuries and are linked to colonialism and land distribution, she added. On the other hand, more than 30 million people in Latin America and the Caribbean have overcome hunger in the last 20 years, “revealing in the process a valuable repertoire of public policies that can serve as a basis for other contexts and regions,” the report says. The most recent expression of this commitment, Benítez told IPS, was the approval of the Food Security, Nutrition and Hunger Eradication Plan of the Community of Latin American and Caribbean States (CELAC). The plan, a pioneer at the international level, proposes eliminating hunger by 2025 – a goal that encompasses several challenges, like mitigating the effects of climate change that mainly affect small-scale family farmers and the poor, who live in more complex, fragile ecosystems, Benítez said. The task then is adaptation to climate change to achieve sustainable food production systems. The challenges also include successfully weathering the economic slowdown that is not only affecting this region. “The dangers of backsliding are always latent,” the FAO representative warned. “We have to raise awareness about the fact that this continues to affect millions of women, men and children in the region. “Hunger deprives people of education, of health, even of citizenship, but it principally deprives people of freedom, and this affects all of us: the hungry and those who have full stomachs. We can’t allow any one of our Latin American or Caribbean sisters or brothers to continue to go hungry,” he added. Benítez pointed out that in Latin America and the Caribbean the problem is not a lack of food, but the fact that the poor can’t afford it. “It’s a problem of access, not production,” he stressed. Benítez said that “while all countries have been reducing the proportion of people who have managed to overcome the problem of hunger, some have done so faster than others. Francisca Quiroga, a public policy expert at the University of Chile, told IPS that this new stage must be spearheaded by a change in model, from the current “extractivist” model to a new one based on more suitable forms of development and higher-quality public policies. “Many social policies implemented by countries in the region with the aim of meeting the MDGs were focused on improving indicators or reducing the gaps based on statistics, but they failed to focus on issues that are so important for this region, such as inequality,” she said. New problems have also arisen, such as the impact of climate change or access to the development of natural resources, or the poor quality of food, which means the new model must be sustainable, the academic added. At the end of this year the MDGs will be replaced by the Sustainable Development Goals (SDGs), where the reduction of hunger is accompanied by other challenges involving food, such as the dangerous increase in obesity, which is becoming a major new global problem, Benítez said. In many ways, Jayakumari Balendran epitomizes the plight of the Tamil people in Sri Lanka’s northern and eastern provinces, both during and after the island nation’s 26-year-long civil conflict. Her oldest son was shot dead in 2006 while working in the coastal town of Trincomalee, about 300 km east of the capital, Colombo, by ‘unidentified killers’. 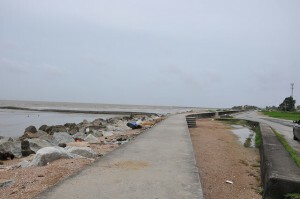 Abandoning her husband, she was forced to flee to Kilinochchi, a town in the north, which, at the time, served as the administrative nerve-centre for the Liberation Tigers of Tamil Eelam (LTTE), the rebel group battling the government’s armed forces for an independent state for the country’s minority Tamil population. Three years on, in May 2009, as the war dragged to a bloody finish, her second son was also killed – one of dozens who perished in the shelling of the Puthukkudiyiruppu hospital, an attack the army denies responsibility for. Both boys were 19 years old at the time of their deaths. Her third and final son, who was forcibly conscripted into the LTTE’s ranks as a child soldier, reportedly surrendered to government forces later that same month after the army overran LTTE-controlled areas and declared a decisive win over the rebels. However, she has neither seen nor heard from him since, an ominous sign in a country where enforced disappearances are a common occurrence. And her troubles did not end there. While protesting his disappearance, Jayakumari was arrested and imprisoned in the notorious Boosa prison, an institution that has become synonymous with torture. Following presidential elections in January 2015 that saw the ouster of long-time president Mahinda Rajapaksa and the transfer of power to his former health minister Maithripala Sirisena, Jayakumari was released, in a move that activists took as a sign of safer and more just times to come. But after returning to find her humble home ransacked and her possessions looted, Jayakumari was forced to place her daughter in an ashram for her own safety, while she herself move into a hut, the only place she could afford as a single mother – her husband died of cancer in 2012 – and where she now ekes out a rough living. The converging issues that have defined her life over the past 10 years – war, disappearances, detention, displacement and abject poverty – are now the subject of an independent inquiry by a U.S. think-tank, the first of its kind to be released after the guns fell silent in 2009. Titled ‘The Long Shadow of War’, the 37-page report by the California-based Oakland Institute (OI) details the unhealed wounds that still plague the former war zone, preventing civilians like Jayakumari from moving on with their lives. During a press conference call Thursday, OI Executive Director Anuradha Mittal outlined some of the biggest hurdles to reconciliation, including continued heavy militarisation of the north and east, systematic erasure of Tamil history and culture, and the inability of the government to implement an effective mechanism to investigate alleged war crimes – for which both the government and the LTTE stand accused – committed during the last phase of the conflict. 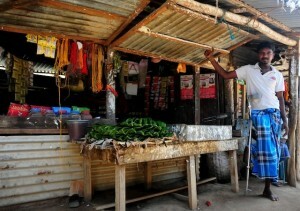 Although Sirisena’s government has taken steps towards demilitarization, appointing a non-military civil servant as governor of the northern province in place of the former security forces commander who previously held the post, the presence of one soldier for every six civilians is a thorn in the side of many war-weary residents. OI’s report quotes Defense Minister Ruwan Wijewardene as saying, as recently as February, that the government has no intention of removing or scaling down army formations in the Jaffna peninsula. Land and property have been major sticking points since 2009, with 90,000 of an estimated 480,000 people displaced during the last months of fighting still living in makeshift shelters, according to 2014 statistics published by the Internal Displacement Monitoring Centre (IDMC). The situation has been particularly difficult for war widows, who are thought to number between 40,000 and 55,000, now tasked with providing single-handedly for their families. For women like Jayakumari, poverty and unemployment combine with uncertainty over missing relatives to create a culture of fear, and stillborn grief. Citing data from the United Nations as well as religious institutions on the ground in the Vanni – a vast swathe of land in the north and east – OI estimates the number of missing people to be between 70,000 and 140,000. “So many mothers like me are wandering from place to place in search of their children,” Jayakumari said in a statement to the press this past Thursday. “We need answers. The government should at least arrange a place where we can go and visit our children. I want my child,” she asserted. Her demand strikes at the heart of what could well be the defining challenge for the present government: implementing a national reconciliation process centered on a credible investigation into wartime abuses. In March last year, the U.N. Human Rights Council (HRC) agreed on a resolution that would have launched a war crimes inquiry, but the then-government barred independent researchers from entering the country. Despite these roadblocks, the world body was set to release its findings earlier this year, but agreed to the fledgling government’s request to delay publication for six months – leading to criticisms over a perceived watering down of U.N. mandates to suit the whims of electoral politics. She clarified that urgent tone of the report is not an attack on the new government, but should rather serve as a reminder of the severity of the situation for ordinary Tamil people. “We are just trying to remind the government that there are people, communities, hundreds of thousands of families, waiting for justice,” she noted. The death toll during the war’s last stages remains a hotly contested figure, both within Sri Lanka and among the international community. U.N. data suggest that 40,000 people died, but the previous government insisted the number of dead did not exceed 8,000. Meanwhile, a new book by the eminent research body University Teachers for Human Rights (Jaffna) says the true death toll could be closer to 100,000. This is one of just many unanswered questions that could be put to rest by a just reconciliation process. Huizen, a small town of less than 50,000 inhabitants, has become the first town in the Netherlands to prohibit the sale of Nazi paraphernalia. The Huizen town council has banned the sale of Nazi objects at the town’s militaria fair, scheduled for Jun. 31, following a petition from the Dutch AFVN/BvA Anti-fascist League. The fair has been running unhindered for 35 years, with an average of five fairs each year. In March the AFVN/BvA lodged a formal criminal complaint with the police against the organisers of the fair, saying that it was prepared to withdraw the charges if the fair stopped dealing in Nazi objects. Rabbi Abraham Cooper from the Simon Wiesenthal Center in Los Angeles had earlier endorsed the AFVN/BvA in its struggle to curb the Dutch trade in Nazi objects. AFVN/BvA spokesman Arthur Graaff, the 66-year-old son of a decorated Dutch resistance fighter who was condemned to death by the Nazis and spent three years in Nazi prisons, praised the town council for its boldness and courage which, he noted, contrasts sharply with the unveiling of a Nazi monument by a mayor in the Dutch town of Schaijk in February. Graaff, who pointed out that Germans often use Dutch militaria fairs to sell Nazi items that they cannot legally offer for sale in Germany, said that the Dutch e-bay, marktplaats.nl, plays a major role in the trade in Nazi objects, usually offering some 3,000 items each day. Historian and journalist Graaff made news in March this year when he discovered the sale on the Dutch e-Bay of a bar of soap which its owners claimed was made from the fat of Jewish people murdered at a Nazi death camp. The soap, which was removed after Dutch prosecutors blocked its sale, is still being examined by the official Dutch forensic laboratory, the NFI. At the previous fair in Huizen on Mar. 8, the AFVN/BvA found a copy of Adolf Hitler’s banned ‘Mein Kampf’ on sale at one stand and another stand full of forbidden Nazi-daggers. According to Anti-fascist League, 50 of the 80 exhibitors were selling Nazi objects, including flags, uniform parts, steel helmets, rifles and even shoes that were said to have belonged to a concentration camp prisoner. Small Island Developing States (SIDS) have championed the phrase “1.5 to stay alive” in demanding that global temperature increases be kept as far below 1.5 degrees C as possible to limit the anticipated devastating effects of climate change on the world’s most vulnerable countries. The United Nations is not only overwhelmed by a spreading humanitarian crisis, largely in Africa and the Middle East, but also remains hamstrung by a severe shortfall in funds, mostly from Western donors. But lack of funding and shrinking access are compromising the agency’s ability to meet humanitarian needs. Currently, the funding shortfall for WFP amounts to 230 million dollars for food and nutrition assistance. Overall, the number of people requiring critical relief has more than doubled since 2004, to over 100 million today, according to the United Nations. And current funding requirements for 2015 stand at a staggering 19.1 billion dollars, up from 3.4 billion dollars in 2004. The United Nations considers four emergencies as “severe and large scale”: Central African Republic, Iraq, Syria and South Sudan. And these crises alone have left 20 million people vulnerable to malnutrition, illness, violence, and death, and in need of aid and protection. “Yet there is not enough funding to meet the needs,” Shannon Scribner, Humanitarian Policy Manager at Oxfam America, told IPS. She said the current humanitarian system is led by the United Nations, funded largely by a handful of rich countries, and managed mostly by those actors, large international non-governmental organisations (including Oxfam), and the Red Cross/Red Crescent movement. This system has saved countless lives over the past 50 years and it has done so with very little funding, she said, and less than what the world’s major donors spend on subsidies to their farmers. “However, the system is overwhelmed and assistance often arrives too little and is too late,” she pointed out. So strengthening the capacity of local actors to prevent, prepare and respond to emergencies in the first place makes sense, as well as increasing assistance to disaster risk reduction (DRR) that can have a high rate of return in saving lives and preventing damage to communities and infrastructure, as seen in South Asia, Central America, and East Africa. However, between 1991 and 2010, only 0.4 percent of total official development assistance (ODA) went to DRR, Scribner said. Last week, Secretary-General Ban Ki-moon appointed a high-level U.N. panel to address the widening gap between resources and financing for the world’s pressing humanitarian efforts. Oxfam has recommended the panel looks at having U.N. member states make mandatory payments to humanitarian appeals – similar to what is done for U.N. peacekeeping missions, in which funding is received by mandatory assessments charged to member states. Currently, the United Nations and its key agencies are funded by assessed contributions from the 193 member states and based on the principle of “capacity to pay”, with the United States the largest single contributor at 22 percent of the U.N.’s regular budget. All of these are mandatory payments. Additionally, U.N. agencies also receive “non core” resources which come from voluntary contributions from member states. Over the last decade, Ban said, the demand for humanitarian aid had risen “dramatically” amid an uptick in water scarcity, food insecurity, demographic shifts, rapid urbanisation and climate change. “All these and other dynamics are contributing to a situation in which current resources and funding flows are insufficient to meet the rising demand for aid,” he declared. Over the past 10 years, the global demand for humanitarian aid has, in fact, risen precipitously, he pointed out. Oxfam said 12.2 million people are in need of assistance in Syria, almost 4 million refugees and 7.6 million internally displaced people. Scribner told IPS one way to address the ongoing problem of assistance being too little and arriving too late is to invest more in humanitarian action led by governments in crisis-affected countries, assisted and held accountable by civil society, as it is often faster and more appropriate, and can even save more lives. Yet, during 2007-2013, just 2.4 percent of annual humanitarian assistance went directly to local actors. Meanwhile, the High-Level Panel on Humanitarian Financing will be co-chaired by the Vice President of the European Commission, Kristalina Georgieva of Bulgaria, and Sultan Nazrin Shah of Malaysia. The Panel will also include Hadeel Ibrahim of the United Kingdom; Badr Jafar of the United Arab Emirates; Trevor Manuel of South Africa; Linah Mohohlo of Botswana; Walt Macnee of Canada; Margot Wallström of Sweden; and Dhananjayan Sriskandarajah of Sri Lanka. The United Nations said the panel is expected to submit its recommendations to the Secretary-General in November 2015 which will help frame discussions at next year’s World Humanitarian Summit in Istanbul. When war breaks out, most non-combatants run the other way. But a handful of courageous reporters see it as their duty to tell the world what’s happening on the ground. And many pay a high price. In an explicit recognition of the key role of the media in peace and security, the U.N. Security Council on Wednesday unanimously adopted a resolution condemning all violations and abuses committed against journalists and deploring impunity for such acts. “Recent killings of journalists have been given extensive and welcome attention around the world, including the brutal murders of Western media representatives in Syria,” said U.N. Deputy Secretary-General Jan Eliasson. “Yet we must not forget that around 95 per cent of the killings of journalists in armed conflict concern locally-based journalists, receiving less media coverage,” he added. Syria remains the deadliest place for journalists, with at least 80 killed there since the conflict erupted in 2011. The second and third places in journalist deaths were shared by Iraq and Ukraine. According to CPJ, about one quarter of the journalists killed last year were members of the international press, double the proportion the group has documented in recent years. Eliasson urged member states to implement the U.N. Plan of Action on the Safety of Journalists and the Issue of Impunity, endorsed by the U.N. Chief Executives Board on Apr. 12, 2012. Its measures include the establishment of a coordinated inter-agency mechanism to handle issues related to the safety of journalists, as well as assisting countries to develop legislation and mechanisms favourable to freedom of expression and information, and supporting their efforts to implement existing international rules and principles. But this call may fall on deaf ears in some quarters. In March, a military spokesperson for the Saudi-led coalition conducting air strikes in Yemen openly stated that media organisations associated with the Houthi rebels and former Yemeni president Ali Abdullah Saleh are legitimate targets. On Mar. 18, Abdul Kareem al-Khaiwani a Yemeni journalist from Sana’a, was shot and killed by assailants on motorbikes after representing a Houthi group in a conference on Yemen’s future, while on Mar. 26 Shi’ite Houthi militiamen overran the Sana’a headquarters of three satellite television channels: Al-Jazeera, Al-Yaman-Shabab (Yemen-Youth), and Yemen Digital Media. On Apr. 20, journalist and TV presenter Mohammed Shamsan and three other staff members of Sana’a-based television station Yemen Today were killed in an airstrike that appears to have deliberately targeted the broadcaster’s office. U.S. Ambassador Samantha Power singled out Colombia, once considered the most dangerous country for journalists in South America, as taking positive action by establishing a 160-million-dollar annual fund to protect 19 groups, including journalists. Earlier this week, Colombian President Juan Manuel Santos met with representatives of CPJ in Bogota and the Colombian press freedom group Foundation for a Free Press (FLIP) and pledged to prioritise combating impunity in attacks against the press. While the security situation in Colombia has improved in recent years, impunity is entrenched and threats and violence against journalists continue, according to CPJ research. “I envision a normal country where journalists won’t need bulletproof cars and bodyguards and will not need any protection,” said Santos, himself a former journalist and one-time president of the freedom of expression commission for the Inter-American Press Association. “But for now we need to make sure that the programme is properly funded and effective,” he added. Launched in 2011, the journalist protection programme provides protection for around 7,500 at-risk people, including human rights activists, politicians, and journalists, at a total cost of 600,000 dollars per day. But the delegation recommended that it also focus on preventing attacks from occurring in the first place. Colombia ranked eighth on CPJ’s 2014 Impunity Index, which spotlights countries where journalists are slain and their killers go free. Iraq ranked number one, followed by Somalia, the Philippines, Sri Lanka, Syria, Afghanistan and Mexico. At the Security Council meeting, Deloire from Reporters Without Borders called for the creation of a Special Representative of the Secretary-General for the protection of journalists in order to increase the prominence of the issue within the U.N system. He stressed that a staggering 90 percent of crimes against journalists go unpunished. “Such a high impunity rate encourages those who want to silence journalists by drowning them in their own blood,” Deloire said. While fighting continues, widespread burning, destruction, and looting of property have aggravated the efforts of both sides to gain control of the oilfields in the north of the country. 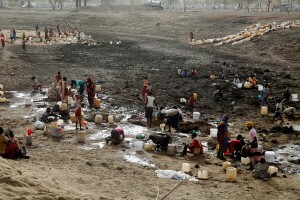 “South Sudan is locked in a horrible cycle of conflict and abuse and there has been absolutely no accountabillity whatsoever for any of these horrific abuses,” Skye Wheeler, Human Rights Watch (HRW) Researcher for Sudan and South Sudan, based in Nairobi, told IPS. To date, 10,000 people have been killed and two million forced to flee their homes. Aid organisations are calling this a severe humanitarian crisis. The United Nations Children’s Fund (UNICEF) has decried the brutal violence against civilians and children, including the burning down of entire villages and the rapes and murders of women, and children as young as seven years old, over the past few weeks. The states of Unity and Jonglei are the worst affected. It is unclear exactly who is responsible for the violence and destruction of property. An estimated 13,000 children under 15 years of age have been recruited by both government and opposition forces, an act that constitutes a war crime, not only in South Sudan but also according to international law. Another concern is the displacement of civilians and destruction of agriculture. “People should be planting crops right now, instead they are fleeing,” Pawel Krzysiek, a staff member of the International Committee of the Red Cross (ICRC) in South Sudan’s capital, Juba, told IPS. With the rainy season fast approaching, farming communities in Unity State need to plant their crops now to ensure decent harvests, something they cannot do due to the fighting. Many people have little choice but to depend on food aid. Children have been badly hit, with malnutrition at a “critical level” in 80 percent of all counties in the Greater Upper Nile, Warrap and Northern Bahr El Ghazal states. Dependence on food aid will only increase now with worsening displacement – gaining access to those most in need is becoming increasingly difficult, aid workers say. “ICRC is providing food and medicine for about 120,000 people. Many of them are displaced as a result of the fighting, which is challenging our aid workers,” Krzysiek says. More than two million people are displaced, about 500,000 of them are completely cut off from services. Besides civilians, aid organisation now find themselves affected, with ongoing violence limiting both the options and capacity of various humanitarian groups. According to Krzysiek, medical facilities in Unity State and Jonglei State were attacked, targeted and detroyed. Aid organisations were forced to evacuate staff to ensure security. ICRC was forced to move its base from the city of Kodok to Oriny to the disadvantage of civilians. “The hospital of Kodok is the only one in its region and therefore very important. People now have even more limited access to health services and food because of the country‘s insufficient infrastructure,” Jean-Yves Clemenzo, based at the ICRC headquarters in Geneva, told IPS. Humanitarian organisations putting their operations on hold could spell disaster for the roughly 50 percent of South Sudan’s 12 million who are almost entirely dependent on the delivery of aid supplies. UNICEF estimates it will distribute aid to meet the humanitarian needs of children alone to the tune of 165 million dollars by the end of 2015. Human Rights Watch is very concerned about the continous deterioration of the conflict. Over the last couple of months, dozens of cases have been documented in which civilians were arrested arbitrarily, beaten up or tortured by unidentified forces. “It looks like we are seeing a repeat of late 2013, when government forces moved through these areas burning, looting and destroying large parts of it,” Wheeler told IPS. South Sudan became an independent state in 2011, in a moment that marked the end of a two-decade-long war for independence, which claimed 2.5 million lives. But peace was short-lived. In December 2012 a power struggle between South Sudanese President Salva Kiir Mayardit and his then-vice president Riek Machar escalated after Machar was accused of attempting to depose Mayardit. War broke out once again on Dec. 15, 2013, and since then the world’s ‘newest country’ has been consumed by a tide of violence. Back in March 2015, peace talks hosted by the Intergovernmental Authority on Development (IGAD) in Ethiopia’s capital Addis Ababa failed.